Battlecats is the first comic released from Mad Cave Studios, a new indie comics publisher driven by madness to create uniquely compelling and diverse comics. Battlecats is written by Mad Cave CEO Mark London with art by Andy King and Michael Camelo and colors by Alejandro Giraldo Julian Gonzalez. Check out my full review of Battlecats Vol. 1: The Hunt for the Dire Beast after the jump. Disclaimer: I received advance copies of the individual issues collected in Battlecats Vol. 1 courtesy of Mad Cave Studios. Like all good fantasy adventures before it, Battlecats opens with a quest. An honest to god RPG quest with completion requirements and everything. That’s when I knew I was gonna love it: the first page. Battlecats isn’t hiding what it’s supposed to be right from the title. The first volume follows the titular fantasy party of anthropomorphic cats sent on a quest by their king to slay a great beast. At first, that’s all we needed to know. Each of the main cats is immediately recognizable as a standard RPG class - the fighter, the mage, the scout, etc. With all of the characters easily developed in a matter of seconds, this premiere issue doesn’t waste time with exposition and gets right to the action. Blood begins to fly right away and it becomes clear that this is not your little brother’s cat comic. After getting their tails handed to them in a vicious battle, the Battlecats endure a cave in and take on an army of yeti monsters. With every action scene, we see that the creative team really knows how to have fun with their characters. The first two issues were more or less “the Battlecats fighting people” but started in the third we got a lot of different stuff thrown at us. First, we check in with our villains sitting in a cave decorated with skulls - that’s how you know they’re evil. Then we get a nice moment between Kelthen, the leader of the Battlecats, and Vaela, the team’s mage. Then we finally meet the quest giver - the King - and it appears this simple “slay the monster” mission is not what it seems. The publishers had compared this series to Game of Thrones and I didn’t see it until this point. 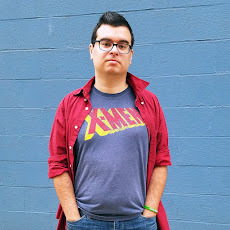 The fourth issue is where the creativity in the series really shines. 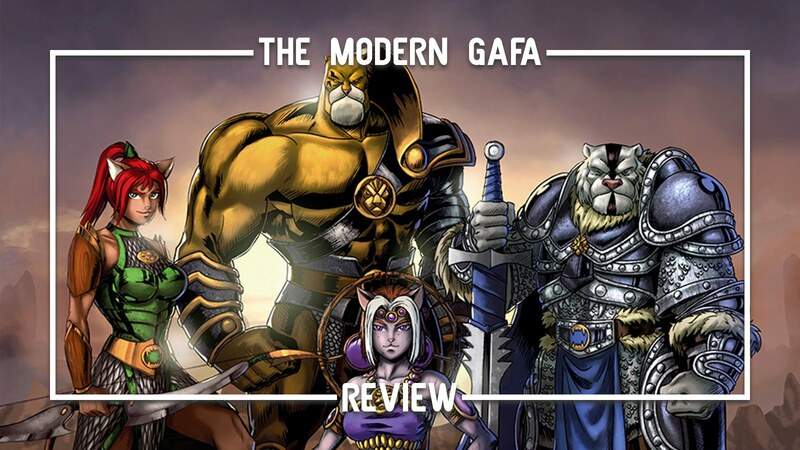 Before then, Battlecats was Thundercats meats Dungeons & Dragons with a bit of Game of Thrones and this issue added some Magic: The Gathering vibes as we took a break from the main story to unload some highly imaginative backstory on the world of Valderia and the Battlecats. After being thrown into an unfamiliar world with a cast of strangers, it was nice to see a bit more of where they come from. We learn some of their ancient mythology, the history of their lands, and find out how the Battlecats came to be. The Battlecats’ first quest comes to a close in the fifth and final issue of this Volume, but the story is far from over. We didn’t tie a nice bow on it or walk off into the sunset ready for a new adventure. It’s a real turning point that left me ready for the next one. Battlecats is more than just bloody, fantasy action. It’s is a story with complex characters, beautiful environments, deep mythologies, and an unfolding mystery. There is so much creativity in every panel and the artwork helps craft a colorful world. This is a world I want to see many more stories from. Seriously guys - pick this one up! Click here to get your own copy of Battlecats Vol. 1: The Hunt for the Dire Beast and click here to find out more about Mad Cave Studios and the Battlecats.